Trout is a colloquial term for several cold-water fish of the Salmonidae familey. The family includes several species of trout - trout, rainbow trout, brooke trout and hybrids between them, and there are Ohrid and salmon trout too. The most common trout inhabit the upper reaches of rivers, alpine lakes and reservoirs, where water runs very strong and fast, being is rich in oxygen. Once the trout reach the middle reaches of such waterways, they returned to the upper reaches, because it is warmer there. They maneuver between lakes and pond, inhabiting rivers and streams that flow into or out of them. Trout is extremely demanding in terms of quality of water and its temperature. This fish can not tolerate oxygen concentration lower than 7 -12 ml per liter of water, and temperatures above 10 degrees. Usually, trout can be found at an altitude of 2000 m, and in valleys, and at a suitable temperature and oxygen concentration, it can be found in the plains and rivers. Fish of the Salmonidae family typically spawn in winter and in spring, the eggs hatch. The female chooses a suitable place to lay, and with her tail turned up, lays on the bottom. Thus, she it makes little wells where spawning. Parallel to that, male sperm is disposed, resulting in the fertilized eggs being heavier than water and being left at the bottom. Trout grows very quickly. Weight and size can reach impressive sizes, in the best cases reaching 35 kg. This does not apply, however, the river trout that weigh less than 800 grams. All species of the Salmonidae family have important economic significance. Perhaps most important are rainbow trout, which is the most common target of sport fishing for cold water fish. Trout are grown in farms, with the quantity of dissolved oxygen in the water above 7 mg/L and temperature 12 to 20 degrees. Representatives of Trout were distributed in North America, Europe and Asia. In the process of evolution many varieties and subspecies of trout were derived. Arch trout - widespread in North in two varieties - real arc and steel heads. The length of the arched body of real arc trout is between 25 to 65 cm, weighing between 2 and 7 kg and steel heads - between 50 to 100 cm and weight of 10 kg. 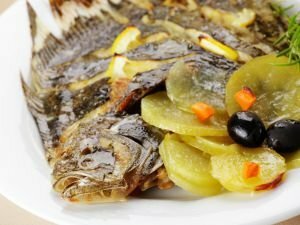 It is believed that most culinary value is found in real arc trout that is very delicious, although the steel heads are richer in protein and lower in fat. Dark river trout - it's a small and typical of Europe trout, but is also bred in the cold mountainous regions of North America. It is considered a delicacy, the fish are 20-25 cm long and only with a modest weight - about 1-2 kg. Characteristic of dark river trout are its dark olive color scales. Salmon trout - a large marine species, which combines the positive attributes of salmon and trout. It is characterized by soft pink color and a mixed flavor reminiscent both species. For its size, this trout is like salmon, but differs from it with a wider body. There is also a less pronounced depression of the tail fin. 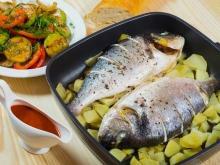 Trout is relatively expensive, largely a delicacy fish that has a large nutritional value and. Inhabiting cold water that flows fast, trout is characterized by very low in fat and it is often called lean fish. 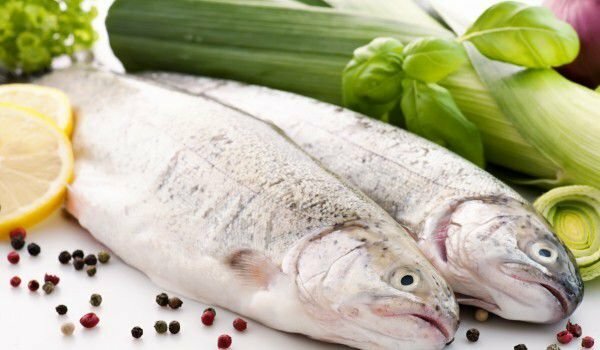 It’s extremely useful because its flesh is rich in Omega 3 fatty acids and fat-soluble vitamins A and D.
Moreover, trout contains high amounts of vitamins of the group B. Trout is usually fresh and high in protein and low in fat. 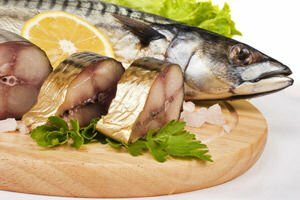 Omega-3 fatty acids make it essential for the complete diet. Furthermore, trout caviar is rich in vitamin A. Most types of trout reach 6% fat and proteins - 18-20%. In mountain areas, you can always eat fresh trout. However, if you go to the market, there is also fresh fish, but you can find it smoked or frozen. 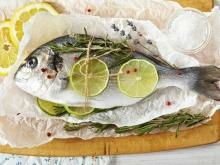 In fish stores or in major retail chains, you can find frozen whole cleaned or just filleted trout. You will recognize fresh trout by a fresh look and a fresh scent. 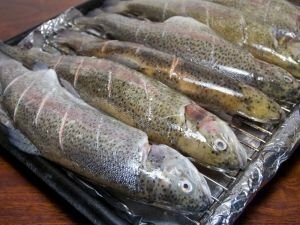 If you intend to keep trout, it's best to freeze it in a freezer. 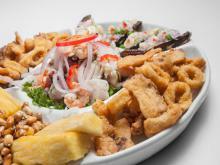 It is always preferable to cook immediately once you buy fish and enjoy its incredible taste. 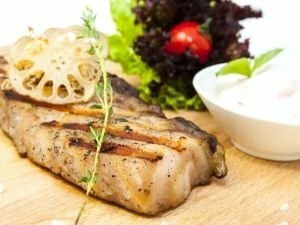 Trout is easy to prepare, delicious and very useful. 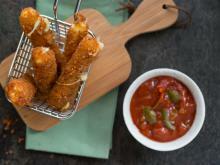 It was loved by many culinary professionals and a favorite taste of gluttons. 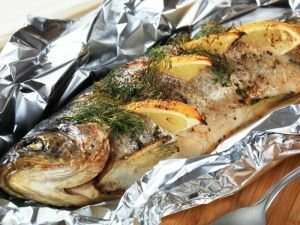 Trout can be prepared in every way - roasted or oven cooked, steamed, fried or baked in foil. Trout can provide unique fish skewers with which to charm your guests. 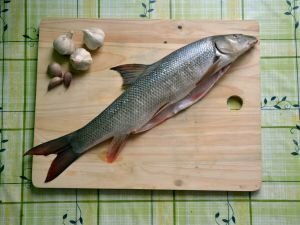 When cooking trout, note the rule that the more simple the way it’s cooked, the taste is better and its more useful components are preserved. Trout is washed, cleaned and flavored with spices, lemon juice and olive oil. 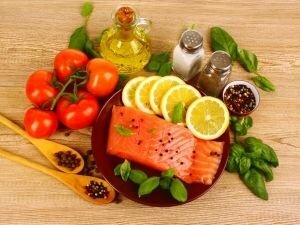 The taste of trout combines well with herbs like tarragon, and also with garlic, onions, tomatoes, even fresh herbs such as parsley. 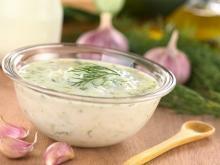 For garnish are suitable fresh or steamed vegetables, baked potatoes or mashed potatoes. Trout combines perfectly with your favorite white wine too. 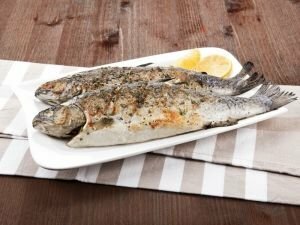 Trout is one of the foods that are good to include in a regular food menu. 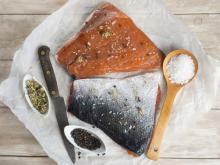 Like salmon, trout is very useful, mainly because of its high content of omega-3 fatty acids. 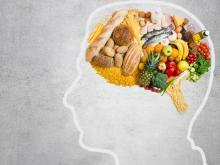 They are extremely important for the heart and nervous system. Regular trout will load you with tone, your brain - with energy, and it will make your skin and hair to shine. Omega-3 fatty acids are invaluable for dry skin that needs constant feeding.